(SEATTLE) – OCTOBER 13, 2010 – Chiapas, the southern-most state in Mexico, has won the bid to serve as Destination Host to the Adventure Travel Trade Association’s eighth annual Adventure Travel World Summit, an assembly of 600 adventure tourism professionals, which will be held October 17-20, 2011 in San Cristóbal de las Casas. Announced by the ATTA and Mexican tourism officials October 7 during the closing ceremonies of the 2010 Adventure Travel World Summit (ATWS) in Aviemore, Scotland, attended by an estimated 600 delegates representing more than 50 countries, the ATTA reported its decision came after extensive review of several sites throughout North America. 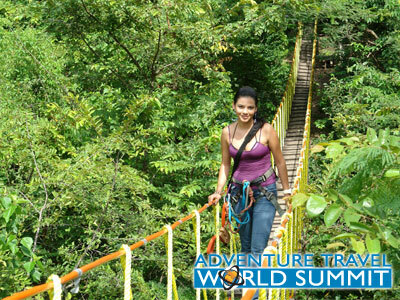 In addition to meeting all prerequisites outlined in the bidding process, Chiapas won the 2011 ATWS bid primarily for its partnership orientation and readiness and willingness to press forward on progressive adventure tourism development, as well as for the tremendous potential benefits to the local tourism economy and the ATTA’s members worldwide. 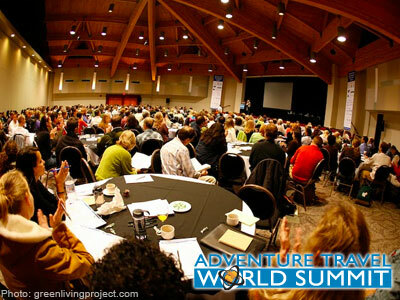 Entering its seventh year, the ATTA’s Summit conferences engage, enlighten, inspire, and energize the leaders of the adventure travel community with networking, business and professional development programs, educational seminars and emerging adventure destination product review opportunities. Established in 1990, the Seattle-based ATTA is a global membership organization dedicated to unifying, networking, professionalizing, promoting and responsibly growing the adventure travel market. ATTA members include tour operators, destination marketing organizations, tourism boards, specialty travel agents, guides, accommodations, media and service providers. 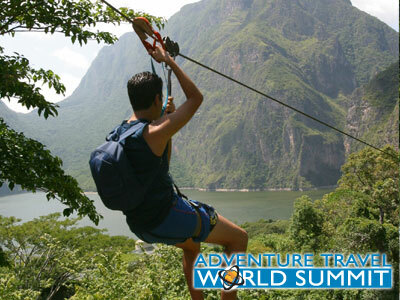 Host of the annual Adventure Travel World Summit executive trade conferences, the ATTA also makes possible www.Adventure.Travel, the traveler’s hub of physical, cultural and nature-based adventure travel and guide to trusted tour operators from around the globe. I should close the office and send all my staff to the next Summit in Chiapas….it’s going to be THAT good! That’s awesome, I’m from Mexico and we are so proud to show the world our beautiful and natural places, I hope to go. Ecoturismo Genuino (Genuine Ecotourism), which is based in San Cristobal de las Casas, Chiapas, Mexico will be getting ready from today onwards for such an important event. 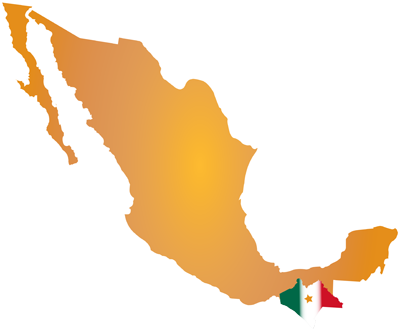 We are members of AMTAVE (Mexican Association of Adventure Tourism and Ecotourism), who are members of ATTA. Any ideas, travel tips or ecotravel suggestions you might need do not hesitate to contact us. 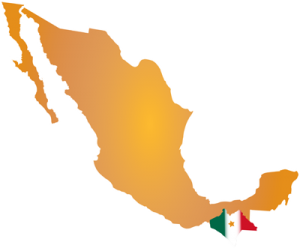 Mexico and Chiapas specifically is a fantastic choice for the 2011 summit. After three years attending the ATWS, I can honestly say this is one of the best events our industry has to offer. Looking forward to year four and all that Chiapas will share! I think it will be an interesting summit especially for adventure travel professionals like us. I have reserved the dates and am excited to return to the ATTA World Summit in 2011 after several years’ hiatus. Yeah! EverGreen Escapes has sent at least two representatives to the ATTA World Summit the last few years and every year we come back inspired, motivated and enthusiastic about sharing new ideas with our team, building new partnerships and implementing new strategies learned at this very dynamic conference. Looking forward to October! What sort of local buy-in does the event have in Chiapas? Hi Ron- the local buy-in is strong. From the City of San Cristobal de las Casas to some of the local tribes- the Lacandons, for example, the unity has been apparent. I personally met with some of the Lacandon leaders last month at Tianguis and they are really happy about the Summit coming to Chiapas. The federal gov’t is putting funds into Chiapas for upgrading of some equipment, buildings, facilities, etc. which clearly these benefits will go well beyond just the Summit, so the San Chris community is happy about this. Some of these buildings are historic and need some upgrade/upkeep, so the Summit has given them the ‘reason’ to do it now. The Governor of Chiapas has created a commission run by a woman who used to be Sec. of Tourism for the state. It’s a multi-organizational group representing almost every government division in Chiapas to make sure that more than just the hospitality sector is being paid attention to. There are more than 10 local operators who are offering 16 different pre-Summit trips to the delegates. 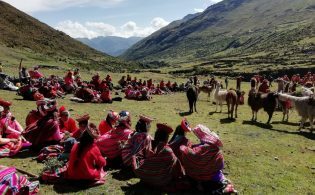 The Tzendal local people in San Juan Chamula will be one of the communities who will be receiving Day of Adventures delegates. Also, the Zinacatan ladies who weave textiles will benefit from visits from the delegates who will be media, buyers and other delegates. 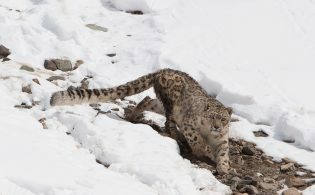 There will be many more examples, these are just two I personally visited. The federal government is also investing in a project to build small eco-lodges that will be operated by Mexican operators and the local guides will be from the indigenous communities. I visited one of them myself last month. There is no major hotel chain in San Chris so all the hotels are local, the caterers are local, etc. I hope that answers your question, but if you’d like to talk to some of the folks in San Chris and Chiapas directly, i can give you contacts. Cheers.